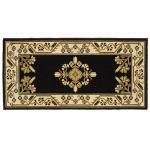 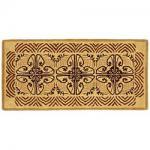 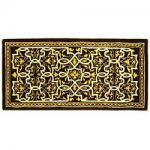 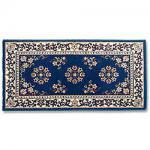 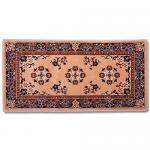 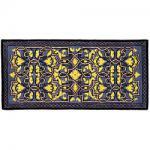 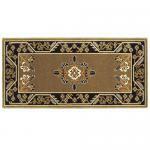 These fireplace rugs are made in the USA of 100 % wool and have a sturdy jute and polyester backing. 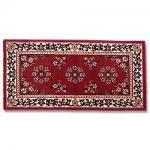 They may be used indoors or outdoors and are weather resistant. 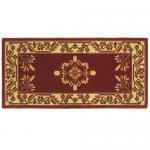 When exposed to high heat, such as a hot ember, these rugs produce a char which actually reduces heat transfer and flame spread.